"Mao and the Iranian Revolution are the ones that come to mind. But these were revolutions. You expect this [wholesale purge of the military, the judiciary, the police, the news media in Turkey]." "So the interesting question is, Is Erdogan having his own revolution? He is going to completely restructure the Turkish state." "We knew a lot, but either we didn't have enough legal basis or the time [to remove the Gulenists from government]." "We are not making up these stories; this is not some Jason Bourne trilogy. We have these massive cells, networks, and they have a bank. They have massive financial resources." Recep Tayyip Erdogan has been patient up until the last few years. The first decade of his Justice and Development Party's election victories saw a Turkey being governed by a man who appeared reasonable and a capable administrator. The economy was doing well, there was an eventual ceasefire agreement with the Kurds and there were no border problems, before Syria imploded under the weight of its sectarian violence. And a man whose view of Islam seemed to echo Erdogan's own, a religious scholar of great repute and following who had supported the early Erdogan was a friendly colleague. Over the succeeding years, however, Erdogan's inbred ego became more difficult to restrain and the corruption of his administration more difficult to hide, and a sundering of relations occurred between Fethullah Gulen and the autocrat. The Turkish intelligence service was instructed to investigate the suspected fifth column within Turkey. Years were spent putting together dossiers on tens of thousands of Turks across the country; links with Mr. Gulen, proven and unproven were all noted and stored for use. Those tens of thousands are inclusive of civil servants who had suddenly become state enemies, traitors, loyal to the the cleric now in self imposed exile, not Turkey, not Erdogan ... or so claims Erdogan. The coup which resulted when some of those in the military realized that they were being sidelined and preparations were underway to arrest them reacting by mounting a coup hoping to pre-empt the inevitable, has given Erdogan the opportunity he has craved, to consolidate his tight Islamist control of the country, giving himself, in the guise of protecting Democracy, the powers that he has longed to vest in the presidency. The coup failure has led to an immense paroxysm of purging. Foreigners looking in at the result of the failed coup might wonder how it might be possible for a country to hit back so relentlessly and fulsomely on those it claims to be involved, clearly having no idea of what Erdogan is capable of. The initial purging of the military a decade ago was merely the start. Turkish officials have long been tasked with identifying traitors; well before the attempted coup lists of military officers and others whose loyalties were suspect, were established. The country's intelligence service came into possession of a surreptitious channel of communications where tens of thousands of names and identification numbers linking people to Fethullah Gulen's movement were found, a veritable bonanza. Among those names was 600 military officers. The armed forces were notified of those names with instructions to sideline all those suspected; when promotions were announced they would not be among them. Any groups who the government suspects of disloyalty: political opposition groups, secularists, nationalists and Kurds who had all supported the government when the coup was underway, are now witnessing a concerning display of troubling responses to the coup. They have reason to be concerned; the purge that is decimating soldiers, police, teachers, journalists and government officials is likely to reach a little further, to include many of them, as well. As for any who might presume to stand in the way of Erdogan's now-inevitable expansion of presidential imperial powers, the arrest of thousands of judges and prosecutors, placed in detention along with dozens of foreign ministry employees who were fired allegedly for links to Gulen, bodes well for Erdogan's fuutre, and ill for the country, a Western ally, a NATO member, the link between Europe and the Middle East. "Any of the allegations that circulate here in the United States about Russia's involvement are groundless." "There's no attempts whatsoever to meddle with the political process or the results of the election." "If you've lost your job or if you're under-employed and someone tells you, 'Trade did it and it's because America was weak', it touches your buttons." "It can be an effective message for him [Donald Trump, Republican presidential election candidate, 2016]." The popular (and Democratic party-infused outrage) reaction to news that American intelligence agencies are pointing to Russian government agency involvement in cyber-spying enabling the collecting of data from the Democratic National Committee, causing huge embarrassment and upheaval at a critical time of electioneering and a challenge from a putative Republican candidate whose scooping up of the presidential candidacy has horrified the GOP itself, is fairly ingenuous. First, because the very fact that someone of the wretched ilk of Trump has succeeded in his mission to gull the gullible to support his candidacy over those of ineffably more qualified, if rather more palatable genuine Republican candidates. The very fact that Trump has ended up the Republican "choice" gives the Democratic Party the only opportunity they might have under the circumstances after appointing Hillary Clinton their candidate to remain in the White House. That the unfortunate public airing of emails revealing that the nominating committee itself, a pledged neutral body undertook to plot the downfall of Bernie Sanders' challenge, simply continues a trajectory of deceit that has plagued the Democratic Party and its candidate of note whom President Obama lauds as the epitome of discretion, decision-making and enduring trustworthiness; the sole individual prepared and experienced sufficiently to lead the country with his departure. The scandalous revelation that Moscow has undertaken steps to influence the outcome of the presidency eliciting disbelief and anger from America, is slightly amusing given the propensity of the United States to infiltrate and influence events externally pertaining to the governance of other nations. If countries deemed by the United States to be important to America's fortunes undertake the election of executive officials inimical to those fortunes, it can be guaranteed that Washington will pull out all stops to intervene. Donald Trump's toxic vision for an America that he visualizes reflecting his wonky values and the intemperance of his overtures and statements, including a verbal invitation extended to Russia to continue interfering in the election, mitigates against a sustainable global political future of less, not more instability at a time when international peace is already irremediably fractured. As for the laughable assurances Trump extends to his followers that he will swiftly return manufacturing to America's blue-collar demographic, coming from a profit-driven corporatist, it is bumptious nonsense. As well as the fact that it is the out-of-work, under-employed, economy-strapped public in the United States that itself has demanded over the years cheaper, more accessible products produced in China which has drained the country of its productivity for the sought-after reality that a proliferation of foreign-made goods can be accessed at bottom price, dropping the floor out of 'made-in-America' pride. That horse has long-since fled the burning barn. "Since Russia and Syria have renewed their joint air operations, we have seen a relentless use of cluster munitions." "The Russian government should immediately ensure that neither its forces nor Syria’s use this inherently indiscriminate weapon." "Several babies were injured when their incubators crashed to the floor, and a woman who was six months pregnant had her leg severed." "Bombing a maternity hospital which is helping women living under the shadow of war to give birth safely is a shameful act, whether it was done intentionally or because due care was not taken to avoid civilian areas." "Around 61 percent of the patients at the hospital are mothers, and 39 percent are children." Syrian and Russian warplanes appear to be doing their utmost to destroy whatever infrastructure and lives are left in Syria, at least in rebel-held areas of Idlib and Aleppo. The world has known and deplored the barrel bombs that the Syrian military has been using against the 'terrorists' who were once Syrian Sunni citizens but whom Bashir al-Assad has declared to be scum and terrorists whose lives are worthless, as his killing machine obliterates men, women and children. He has had ample encouragement and assistance from Iran and Hezbollah, and of course, Vladimir Putin's Russian warplanes, dedicated to upholding law and order in Syria in defense of collegial relations, government-to-government. Russia has been repeatedly accused of targeting hospitals over a prolonged period of time. It is not only Save the Children who accuse Moscow of total disregard for human life, but Medicines sans Frontieres as well, whose own hospitals have been targeted. Both Russian and Syrian airforces have resumed their bombing campaigns after yet another putative ceasefire has failed, with the extensive use of cluster munitions so efficient at killing and maiming humans. Human Rights Watch has documented no fewer than 47 separate cluster munitions attacks over the past several months, most of them taking place over Aleppo, aimed at dislodging Syrian opposition fighters from that part of the city they have contained. Neither Russia nor Syria are party to the convention against cluster munitions, banned by 119 nations that all prohibit possession and use of the cruelly destructive devices. Both cluster bombs and barrel bombs work on the same principle; tightly packed with explosives and shrapnel, when they detonate their effects are devastatingly destructive. 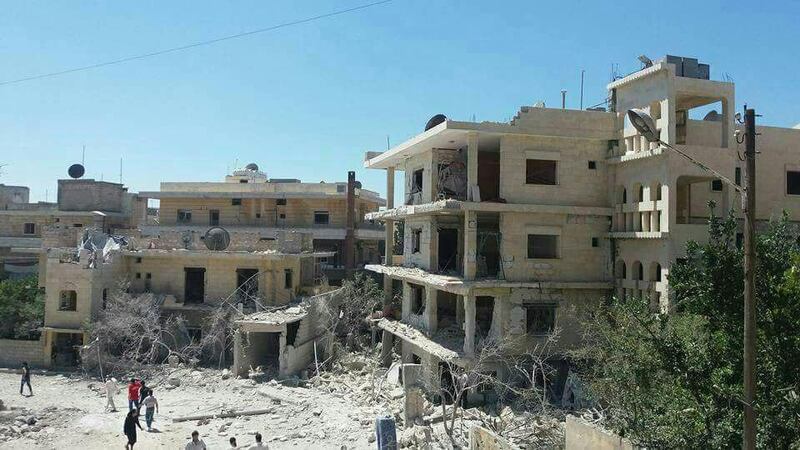 Thousands of civilian Syrians and opposition fighters have been killed and maimed through these explosive devices. And nor is that the end of the story; Russian warplanes have been seen using incendiary bombs as well. In contrast, the United States which does not itself use the munitions in its ISIL campaign, supplies cluster munitions to its allies in the region. Saudi Arabia has used the U.S.-supplied cluster bombs in its bombing missions over Yemen. A demonstration of pure moral ambiguity. "This was a large attack." "The death toll could significantly rise throughout the day." "Oh my son, what did they do to you?" "They burned you, and they burned the country." "I saw a terrible thing." "I was next to the security headquarters when the explosion happened." In Syria and Iraq it is the Kurds who have primarily been challenging the presence of Islamic State of Iraq and the Levant and their caliphate with the intention of the jihadists to press on with their self-appointed mission to absorb the geography into one vast, suppurating cancer of psychotic violence. It is the Kurds who have pushed back against the terrorists with unremitting fury, and who have provided safe haven to the Yazidis targeted for extermination and slavery by the jihadists, and Christians whose very presence is a red flag to the Islamist fanatics. It is the Kurdish fighters in whom the Western allies place their trust, assign members of their military to train and arm them, knowing that they will fight to the end to protect their people, their territory and their dignity as an ancient people whose culture and heritage instruct them to live in peace with others. Turkey's Recep Tayyip Erdogan chafes at the presence of Syrian Kurds living in border towns close to Turkey, characterizing them as terrorists, not the Islamic State jihadists. That NATO supports the Kurdish militias infuriates the Turkish dictator. He will spare no sympathy for the 48 confirmed Kurdish civilians dead in a twin bombing targeting a crowded area of Qamishli in northern Syria. A truck loaded with explosives blew up on the edge of the town, and it was closely followed by an explosives-packed motorcycle. This is a typical Islamic State strategy; an initial bomb, killing civilians, and when others rush to help those many who are wounded, the second bomb usually goes off for maximum efficiency in killing as many innocent people as possible. 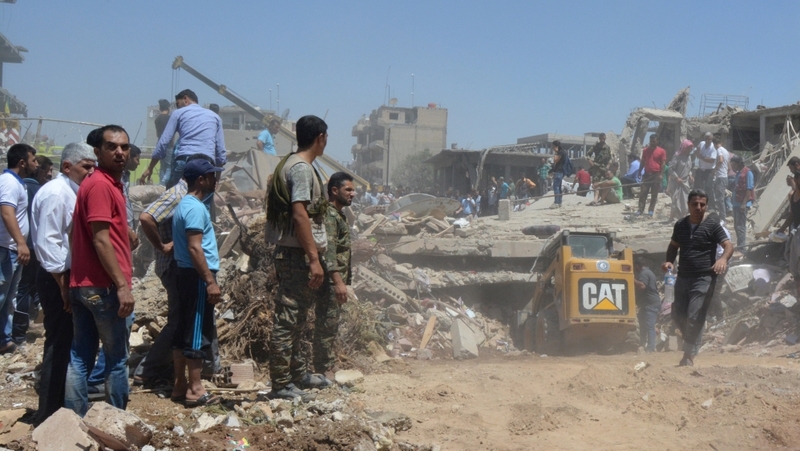 Rescue teams worked frantically to free people from the ensuing rubble of the destroyed civic infrastructure. Television broadcasts featured people racing in panic from the grey smouldering ruins. Even though the town is mostly Kurdish and Kurdish controlled, a Syrian military force is present at the town's airport. Despite which, and attesting to the determination of mass murderers to plan and executive mass carnage to satisfy their monstrous appetite for death and destruction, the unthinkable occurs. This double-pronged attack clearly is connected to Kurdish forces backed by the United States' led coalition focusing on an offensive to combat Islamic State in the town of Manbij and drive them out to free the town, east of Qamishli. This is a pattern that has emerged, that when Islamic State is pushed out of one area, it mounts an attack on another. Just as it attempts to compensate for its growing loss of caliphate area by urging its sympathizers abroad to mount attacks on vulnerable European targets in an emphatic demonstration that its deadly tentacles reach far and wide, and its committed jihadists will eagerly sacrifice themselves as martyrs while slaughtering those whose lives offend Islam. "The investigations are ongoing. There are still unknowns." "There are dogs, explosive detectors and bomb disposal services [at the church outside the city of Rouen, Normandy region]." "[Rev. Hamel was forced to the ground] ...They forced him to his knees. He wanted to defend himself. And that's when the tragedy happened [terrorists slit his throat]." "They [Islamist jihadists] did a sort of sermon around the altar, in Arabic. It's a horror." "I cry out to God, with all men of goodwill And I invite all non-believers to unite with this cry." "The Catholic Church has no other arms beside prayer and fraternity between men." "Sometimes he was running all around, and his desire was to spread a message for which he consecrated his life." "The person who committed this odious act is known and he has been followed by the police for at least one and a half years." "He went to Turkey and security services were alerted after this." Obviously 85-year-old Father Jacques Hamel's message of love has been spurned by some members of the Muslim community of France. That other religion, the religion of peace, urges its faithful to commit to jihad and it seems that love and peace are not at all compatible after all. Not when Christians go out of their way to incite Muslims to violence. It isn't difficult to achieve; their very presence is sufficient to spur Islamists into action. Anyone asked to name a Middle East country where Christians, worshipping the faith that arose there in antiquity, and where the faithful of Christianity have lived ever since, would be hard put to identify one other than the Jewish state resurrected from its ancient heritage site and which preceded Christianity by millennia. Anywhere that Islam is the majority religion Christians are under siege, their numbers steeply declining over the years as they flee persecution and violence. And as the Middle East and Muslim North Africa frees itself from the pestilence of a Christian presence they look abroad to further wound Christianity. Pope Francis wisely counselled after the Islamist attack on Charlie Hebdo that it is a wise course to avoid insulting and thus inciting Islam to vengeance. Presumably his message of prudence will fall short of addressing the spiteful viciousness visited upon Father Hamel who humbly worshipped the Catholic faith. One of the two ISIL-connected Islamists who attacked Father Hamel lived locally. His fascination with Islamic State and its message of hate and death concerned his parents leading them to convey his radicalism to authorities' notice. Adel Kermiche comes from an educated family, well-adjusted in France, his sister a physician, his mother an academic. They were concerned with his aspiration to travel to Syria. When Turkey turned him away at the border he was imprisoned in France. But obviously as has also happened elsewhere in the world when devoted Islamists find their way to Syria and Islamic State impeded they turn to internal violence in the country where they reside. The message of Islamic State resonates with them and proudly their news agency boasts of attacks carried out by "soldiers of the Islamic State". And nor are other European nations with large Muslim immigrant populations exempt from the phenomenon. "The Islamic State is waging a brutal war of aggression ... against our way of life", stated Joachim Herrmann, top security officer in Bavaria, where recently three jihadist attacks took place. Where a failed refugee applicant from Syria wrought his vengeance by assembling bombs in his room located in a home set aside for asylum seekers. Mr. Herrmann speaks of laws requiring change to allow for swifter deportation. As a solution to the problem of an excess of migrants and refugees and a lack of security clearances along with an inability to apprehend jihadist attacks it is a meagre one of screaming desperation. The barbarism that Islamic State is so exceedingly proud to display in its slickly produced videos with its sickening detail to the finer points of torture and cruelly inventive death delivery in the prolongation of suffering, is not, in fact in quality and quantity so different from the kinds of institutional and legal punishments meted out by Muslim countries under Sharia law, reflecting the supreme authenticity of 7th Century Islam. 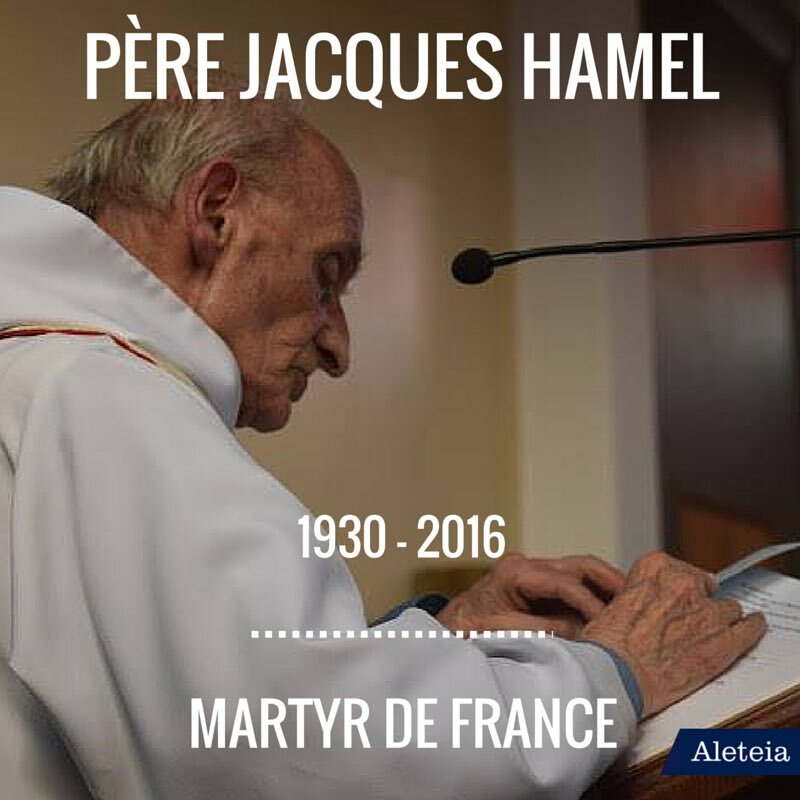 The pain and grief felt by the good people of France and Germany after their most recent travails will no doubt be considerably alleviated by the loving words of Pope Francis who has unequivocally condemned the attack that severed Father Hamel from loving existence. In the words of Vatican spokesman Reverend Federico Lombardi, the Pope has expressed "pain and horror for this absurd violence, with the strongest condemnation for every form of hatred, and prayer for those affected." France, needless to say, remains on high alert and under a state of emergency, congruent with the July 14 attack on Bastille Day in Nice where 84 people were killed in a drive-by murderous assault of prolonged agony, an occasion of great celebration for Islamic State. It becomes evermore difficult to achieve a balancing act the way that Samuel Clemens (Mark Twain) managed, observing the world with a half-cynical eye, recording the absurdities of human behaviour to fool ourselves into believing that we are decent and committed to the advance of civilizing humanity while at the same time practicing the deceit of mountebanks in the very act of committing atrocities. He was a folklorist, a humourist and a misanthrope, in one grand swoop of personality. There is a tragic linear continuum that history records in the affairs of humankind, where religious devotion, ideological transfixion, tribal and sectarian and social customs hold those who are outside the mainstream of rigid beliefs to be inferior, heretics to the prevailing social, religious or ideological order. From Torquemada to Stalin, Hitler to Pol Pot, Islamic State and al-Qaeda to Abu Ghraib, we see dehumanization of one's perceived enemies graduate to mass murder justified by the social perception that those accused and held imprisoned, then led to their death have no justifiable reason to live. 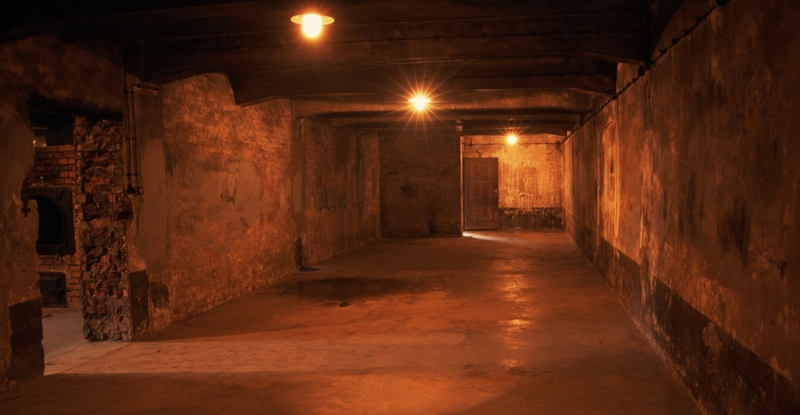 The auto-da-fe and instruments of torture that preceded torching humans to death, were refined centuries after the Spanish Inquisition (which itself was adapted from much earlier inquisitions) and perfected into an industrialized mass annihilation machinery by the Third Reich which had succeeded in marginalizing, violating, and finally murdering millions of Jews to rid the world of what the Nazi propaganda machine named a sub-human pestilence. That sub-human species which despite their relatively slight numbers within the human population has been recognized with more Nobel prizes than any other ethnic group. As far as ironies go the fact that a brilliant Nobel-prize-winning German-Jewish scientist, Fritz Haber, invented Zyklon B (hydrogen cyanide gas) as an pesticide that was later used by the Third Reich to destroy the lives of six million Jewish children, babies, men and women, young and old, remains a postscript to history. What could one expect from ardent anti-Semitic fascists? Perhaps precisely what one might expect from committed anti-Semitic Communists when Stalin's Great Terror purged his one-time Jewish allies from the elite ranks of the Communist order, then proceeded to target Jews in the Soviet orbit more generally in his fit of anti-Semitic psychopathy. Both finding common cause in ridding the world as well, of Sinti, homosexuals, the mentally impaired, their political opponents and any who dared question the higher purpose of their aspirational intentions to turn the world into a finer place where their own visages would be worshipped as demi-mortal. Now, out of Australia, news that inhumanity prospers in a Western society through its treatment of teen-age prison incarcerates where techniques favoured by the Grand Inquisitors of yore are in fashion, with mechanical restraints, hooded prisoners, hands and feet bound, kept in extended isolation; a method tried-and-true to break the human spirit of a 17-year-old whose defiance of authority ran counter to general expectations, meriting his placement in a facility for children whom the justice system views askance. Dylan Voller's sister Kira appealed to the public when her brother's plight was featured on an Australian television program: Her brother, she said, "deserves his life back" after having "lost everything ... lost hope. The last time I went to visit him there was no smile, there was no emotion, there was nothing. I couldn't give him anything to be positive about and that really broke me. I want him to know he's still a person and people still love him and he still has hope for a life." Even more tragically, Dylan Voller's case is not unique. The prison's inmates, all young people, undergo the same ritualistic dystopian 'cures' for their anti-social behaviour that so enrages authority that it saw fit to mete out various forms of 'civilized' behaviour modification techniques. Not quite the cures utilized regularly by Iran and Saudi Arabia, but sufficiently notable to bring a black smudge of infamy to the reputation of the country. "I used to have my own little market. Now I clean houses from 6 a.m. to 7 p.m. When I'm not standing in line [to access scarce market goods]." "I'm 50 years old, and I've never been hungry like this before." "This government has looted our country. And they're still doing it." "Over there [in Venezuela], you wait in line all day for a kilo of rice and sometimes it runs out before your turn comes, so it's all for nothing." People arrive in San Antonio to cross over the Simon Bolivar international bridge to Colombia to take advantage of the temporary border opening in San Antonio del Tachira, Venezuela, July 17, 2016. Both Marys Rosalba and Carlos Ortega were in Colombia; she to try to buy scarce market items in the border town of Cucuta, and he to attend a medical appointment there. While there he also indulged in a bit of shopping, procuring a few pounds of beans, sugar and flour. It was all his Venezuelan pension would allow him to buy. As for Marys Rosalba, she came away with laundry detergent, tampons and toilet paper. Colombians always historically viewed Venezuela as their wealthy neighbour. It is a country, after all, with vast resources of fossil fuels. And there was a time not so long ago when Venezuela lorded it over its neighbours, and compassionately offered oil at a fraction of its production cost, happy to subsidize fuel for its less fortunate neighbours. Cuba did very well by its comradely mentoring of Hugo Chavez. Chavez is dead, and so is the price of oil. Even poverty-stricken Americans profited from Venezuelan heating oil at a preferential low cost when Hugo Chavez, smelling sulphur in the wake of George W. Bush at the United Nations, tweaked his proverbial nose highlighting the American poor dependency on the great-heartedness of fuel-generous Venezuela. A Venezuela busily lifting its own indigent poor into a more comfortable national status with the proceeds of oil sales. A Venezuela that lacked the business and entrepreneurial sense to invest some of its profits back into modernizing its oil extraction facilities and building oil refineries so it wouldn't have to re-import its product, refined elsewhere. But that's the Bolivarian revolution; its socialist-centric view on politics and social policies eschewed business management and the need to prepare for the future. The future arrived without Hugo Chavez, but Venezuela was gifted with his successor who may have known how to drive a public bus, but appears remiss in knowing how to administer the affairs of a nation. The poor Colombian town of Cucuta is now a lifeline for desperate Venezuelans, eager to shop where supermarkets actually store food on shelves full of assorted products that can be bought. Venezuelans in their tens of thousands now stream across the border to look for basic goods whenever the Venezuelan government succumbs to their pleas to allow them to cross. The world's highest inflation rate combined with hapless mismanagement of the economy has resulted in worthless bank notes and a wholesale absence of consumer goods at home, let alone food staples. The nation hasn't the financial resources to afford to import all the food it needs for its population. "They used to come here to sell. Now they come to buy", observed Viviana Lozano, a Colombian shopkeeper who was forced to acquire a money-counting device in order to process the giant wads of Venezuelan bolivars proffered when making even minimal sales to those whose plight she could ease, to supply as much as they could afford. A 100 Venezuelan bank note has a value of ten cents, U.S. She has hired ten people to help her with the crush of shoppers each weekend. Long-distance buses carry Venezuelans hundreds of miles to get to the weekend crossing openings. Where Venezuelans race madly to supermarkets to cram duffel bags and backpacks with sacks of rice, sugar, corn meal and milk powder. Nicolas Maduro resents any notion that the border can be viewed as a "humanitarian corridor" for desperately hungry Venezuelans. The very thought of Venezuelans being underfed is a figment of someone's crazy imagination. The inflation rate sees consumer prices increasing by 700 percent even while the country's economy shrank ten percent in 2016. President Maduro insists that 40 percent of Venezuelan goods are smuggled out of the country by criminals looking to take advantage of their subsidized prices. Government price caps have added to the shortages, additionaly limiting the nation's ability to import basic food items. The Venezuelan military has been deployed at the border, but armed sentries standing on guard, mostly turn away from the sight of Venezuelans making illegal crossings through the shallow river that takes them across the border. In central Cucuta, piles of containers of powdered milk stamped with the "Mercal" label of the Venezuelan government are unloaded for sale at inflated prices. The high-octane gasoline that sells for two cents a gallon at government service stations in Venezuela is sold for $10 in six-gallon plastic jugs. The Venezuelan currency has lost over 90 percent of its value in the last several years. Bolivars have depreciated in value so swiftly that Venezuelans who arrive in Colombia clutching their cash cache discover that it isn't worth as much as they'd hoped. Leading Venezuelans to admit they are unable to have enough to eat, with meals consisting of little more than cornmeal cakes and fruit. People walk to cross over the Simon Bolivar international bridge to Colombia to take advantage of the temporary border opening in San Antonio del Tachira, Venezuela, July 17, 2016. "[This] raises troubling questions, if accused people are seen on television or photos bearing clear traces of physical violence." "Right now law is suspended. We see investigations going on without any rule of law. Yes, the military intervention was stopped, the military dictatorship was stopped, but right now we see they are trying to build a civilian dictatorship." "We are doing everything according to the law." "The idea that Turkey, a country seeking European Union membership, would not respect the law is absurd." "All we care about is concrete evidence of complicity in this grave assault." "If they try to record signs of torture, they face threats and violence from the police. A colleague that tried to photograph evidence of torture was made to erase the photos." "There are a litany of abuses that have been reported to us. There are serious allegations of widespread mistreatment and mutually corroborating reports going beyond beatings to high levels of abuse." "And if they [Turkish authorities] don't have concrete evidence, they shouldn't be detaining them [detainees suspected of association with Turkish cleric Fethullah Gulen whom Erdogan accuses of leading the coup]." In Ankara, crowds chant: "Here is the army, here is the commander!" calling out for the government to reintroduce the death penalty for coup plotters. Which their president, Recep Tayyip Erdogan, beaming benevolently at his faithful supporters, is most pleased to consider. Serendipitously, it was his very own thought, as well. And as a skilled manipulator of public opinion and support for himself, one can only wonder at the coincidence. The international community looks on with fascination at the images of bruised and battered prisoners, those detained who appear, strangely, to have been violently mishandled in their prison cells. Germany in particular, suffering its own hell paved with good intentions, is hoping that Turkey's crisis will soon be settled, bloodlessly, so as to have minimal impact on Ankara's agreement to stem the flow of migrants into Europe. For the moment, and perhaps for a much longer moment in time, longer than the three months stated, Turkey will remain in a state of emergency. A state that confers upon Mr. Erdogan unlimited powers of discretionary decision-making. Required, of course, to enable him to counter threats to Turkish democracy, which he has carefully been protecting in the exemplary manner he has become famous for, particularly among the judiciary, the military and the news media. Now, his democratic credentials have been extended with tender, loving care to the thousands of civil servants, lawyers, police, military personnel and incautious citizens who have been foolish enough to think that a canny politician like Erdogan could be defanged so easily. What it brings to mind for those who are historical-minded is the Spanish Inquisition and Stalin's Great Terror; it is utterly amazing what gentle persuasion to peoples' better natures can produce in self-incriminatory confessions. "The rationale for the Great Terror was the supposed discovery of a diabolical conspiracy whose object was nothing less than the destruction of the Soviet Union, a notion that echoes the rationale of the Inquisition in its long war on heresy The conspirators were accused of putting themselves in service to the worst enemies of the Bolshevik Revolution, including Nazi Germany and imperial Japan. The reality is that 'the whole alleged plot was a vast cycle of frame-ups by Stalin and his entourage' all of it intended to eliminate his rivals and strengthen his authority as the absolute dictator of the Soviet Union. Significantly, the arch-villains in Stalin's show trials were men whose roles in the Bolshevik Revolution had been equal to or arguably even greater than his own, including Leon Trotsky, Grigory Zinoviev, Lev Kamenev, and Nikolai Bukharin." Has a familiar ring to it, don't you think? Fethullah Gulen was an Erdogan confidante and supporter. Until the time came when he was disgusted with the corruption of the Justice and Development Party and its Islamist leader. Said to be more moderate an Islamist than Erdogan they had a parting of the ways. And the socially, culturally, religiously influential Gulen departed in self-exile, out of the menacing reach of Erdogan. That hasn't stopped him from pressuring the U.S. for extradition so he can place the cleric on trial in democratic Turkey. President Erdogan informs his public that the state of emergency in Turkey will counter threats to Turkish democracy. Even his opponents and other Turkish political parties swallowed that hook. His true critics are swinish enough to urge restraint, however, fearing basic freedoms will be violated. Of course, the Justice and Development Party (that most Orwellian of language usage) didn't need a declared state of emergency to proceed with mass arrests, mass firings, closure of hundreds of Gulen-linked schools, come to think of it. Courage beyond the line of civil duty is being exhibited by the Ankara Bar Association with its 24-hour hotline and crisis centre, where terror-stricken Turks can reach out to find out where their missing relatives are. And when they are informed where their loved ones are being held incommunicado and without legal representation, they are also admonished not to attempt to visit them: "Don't go", they are told, "they aren't letting anyone visit". In defence of democracy, needless to say. "We had intelligence over recent days and it was shared with the demonstration organizers." "We shared our concerns because we knew that terrorists wanted to bring sectarianism to our community." "The city of Kabul is totally in shock right now." "In the past ISIL has carried out attacks in the eastern part of the country, mainly suicide attacks, but not as far as Kabul - they were limited to Nangarhar province along the border with Pakistan." "If it is true that ISIL is behind this attack, it shows the growing capability of the group." "I was in the crowd just a few metres away from the blast. It was so loud that I am still in a state of shock." "I saw dead bodies lying all over the area. Is this the value of human blood here?" "Two fighters from Islamic State detonated explosive belts at a gathering of Shi'ites in ... the city of Kabul in Afghanistan." Islamic State is intent on infiltrating everywhere possible, and even where it is impossible; nothing deters them from making their deadly presence and arousing fear and loathing, from Iraq and Syria on to Libya and Lebanon, France and Belgium, Germany and the United States. Everywhere there are young and restive Muslims receptive to the message that the imperative of jihad is their responsibility as Islam's faithful, they emerge as recruits prepared to do ISIL's bidding. Afghanistan has seen a steady emergence of an ISIL presence as disaffected Taliban and those loyal to al-Qaeda become bored with their previous loyalties and shift toward the more successful jihadist group whose horrific videos, slickly produced and crowing over their successes in instilling terror into the hearts of their targets influence the readily convinced to join them, because that's where the action is and where the eyes of the world swivel in fascinated horror. Saturday's bombing that destroyed the lives of 80 and injured over 200 was geared to target Shiites, considered by Islamic State Sunnis to be heretics whose lives have value only as dead offerings to Allah. The government of President Ghani now has the added headache of fully understanding the level of threat posed by Islamic State, gathering strength in his country. Proof-positive of their ability to breach security in the country's capital has been duly noted. The peaceful demonstration of Hazaris protesting their need to be considered for the same kind of civic infrastructure as other citizens of Sunni-majority Afghanistan was dealt a blow that no community is capable of readily recovering from. The road blocks put in place to prevent the protesters from accessing the city centre much less the presidential palace, served to hamper the transfer of wounded to hospital. 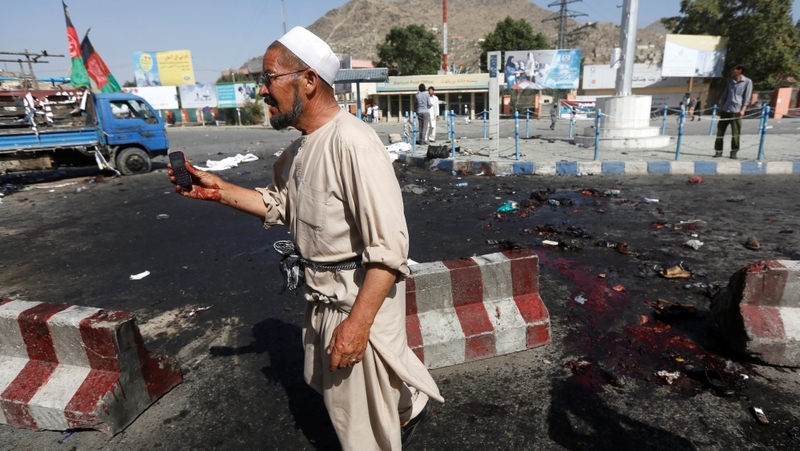 According to witnesses at the scene of the blast, security forces took immediate steps to disperse the crowd in the fear that another bomb would be set off to harm people assembling to give aid to those felled by the first bomb. By then, those demonstrators who were left unharmed sealed the square where the demonstration had been struck, hurling missiles at security forces. While outside the hospitals where the wounded were taken, lines formed consisting of volunteers waiting to offer their blood donations. Afghan officials have reason to believe through their intelligence that disaffected Taliban and Pakistani militant groups, funded and armed through ISIL in Syria and Iraq, comprise the ISIL presence in Afghanistan, with a growing membership. Taliban fighters are not complacent at the presence of ISIL in their geography, resulting in clashes between the groups who battle one another as well as government troops. "The question of terrorism or a rampage is tied to motive, and we don't know the motive. We can't question the suspect so this is all a little more difficult." "All that we know and can say right now is that it was a cruel and inhumane attack. We can't rule out that there are terrorist links. We can't confirm them, but we are investigating along those lines, too." "You can only have absolute security in an absolute surveillance state, and nobody wants that, it would be the opposite of our free western European way of life." "But, and this became clear again today, we can't talk down this danger. It's a danger that many countries are exposed [to], especially in the West, and that's why it's important to give our security agencies the instruments they need." A young man who harbours hatred, an especial hatred for others like him, unlike him. He shot and killed nine people and wounded over twenty. He aimed high in the sense that the higher the number of those he killed, the greater the personal satisfaction, since what he set out to do was to achieve a high count of dead. He had taken to social media to invite others to come out to a local McDonald's, where they could eat, he said, for free. An irresistible invitation to whom? To the young, that's who. And among those who are dead are the young, including himself. Details are yet to be discovered that will sketch a fuller picture of yet another young Muslim man who availed himself of firearms for a distinct and deliberate purpose; to wreak havoc and through his carefully planned assault, kill people. What he had in common with those he killed was that he lived in Munich, he was young. What was different about him was that he was born in Iran, and was Muslim; he hated and he had a gun in a country where firearm possession is restricted, so he had no permit, and had illegal possession of what he used to kill others. That, despite an increased alert and the presence of greater numbers of counterterrorism forces than might otherwise be deployed because Germany had already suffered an earlier attack by a 17-year-old Afghan also in possession of a gun. Eight days, three attacks in Western Europe. Nice was first and suffered greatly, followed by Bavaria, now Munich. German authorities previouslya dmitted that among the million refugees they had invited into Germany there would surely be some among them who were terrorists. The two who were responsible for the most recent attacks were not the terrorists to whom authorities alluded. But they were Muslim and susceptible to the messages of terrorists whose use of the Koran in jihad is infectuous because it reflects what the Koran does demand of its faithful. Even in a country like Canada that prides itself on its multiculturalism policy and of complete integration of Muslims into the greater Canadian society, Muslims live cloistered lives among themselves, which is common for many ethnic or religious groups. But in Canada also Muslim youth are over-represented well above their population numbers in illegal activities, in gang membership, in drug and illegal firearms dealing, in violence and in murder. So hedging bets by reminding the public that the very day of the latest attack coincided with the anniversary of the Oslo massacre by far right extremist Anders Breivik who succeeded in killing 77 people, accusing their politics of transforming Norway into yet another Muslim enclave in Europe is moot. And even though it is questionable in hoping to turn opinion away from fanatical jihad, it is still rooted in Islam's reach into Europe through jihad. If symbolism is so telling, then the fact that the attack took place in the general vicinity where members of the Palestinian terrorist group Black September took Israeli Olympic athletes hostage then butchered them as a symbol of Palestinian 'resistance' against the presence of Jews in land the Arabs reserve for themselves, tells a story of an uncaring world that represents the 'rights' of the Palestinians as defensive, but the rights of the State of Israel to defend itself as offensive.